In this video, we will highlight one of the many strategies you can develop in R.U.S.E., where deception is the key to victory. Download this trailer. In this video you will discover the impact of deception and how it can lead you to victory. Download this trailer. 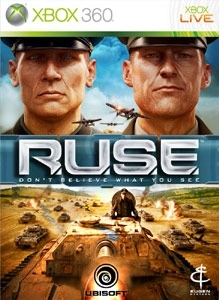 R.U.S.E. will offer a unique and original experience: bluff your enemies... and sadistically enjoy the strength of deception!